Who knew a Canadian was responsible for the world's most polarizing pizza topping combination? The late Sam Panopoulos of London, Ont. is credited with being the first person to put pineapple on a pizza to create what we now know as the Hawaiian pizza. Who knew a Canadian was responsible for the world's most polarizing pizza topping combination? 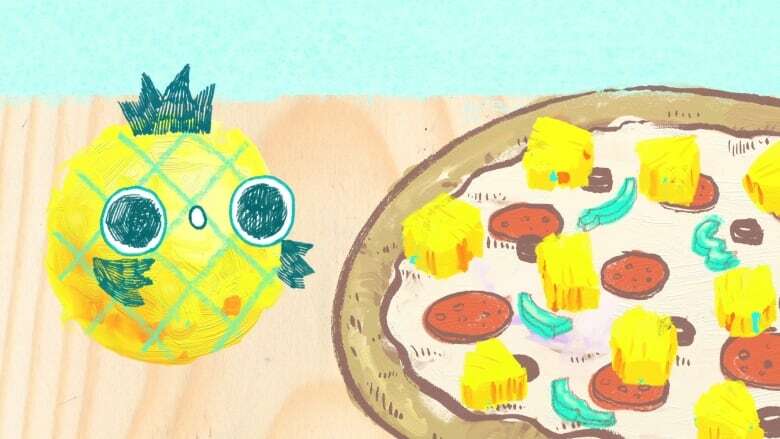 In this video from our Arts x Radio series, engineer-turned-illustrator and motion graphics designer Hyein Lee brings her signature cute and humorous style to animating the Hawaiian pizza's origin story, as told by Sam Panopoulos himself during an interview with Helen Mann on CBC Radio's As It Happens. You can listen to Sam Panopoulos' full conversation with Helen Mann on As It Happens on CBC Radio, here.